Shower gel This luxurious shower gel will leave skin feeling cleansed, smooth and beautifully fragranced. 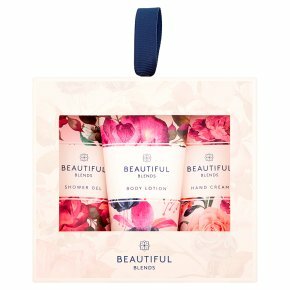 Body lotion This light body lotion will leave skin feeling soft, smooth and beautifully fragranced. Hand cream This beautifully scented hand cream will leave hands feeling nourished and soothed. Shower gel Directions for use Massage gently over your body to create a lather and rinse thoroughly. Body lotion Directions for use Massage into dry skin until fully absorbed. Hand cream Directions for use Massage into hands and nails as often as desired. Avoid direct contact with eyes. If product does enter eyes, rinse well with warm water.<br>Not suitable for children.